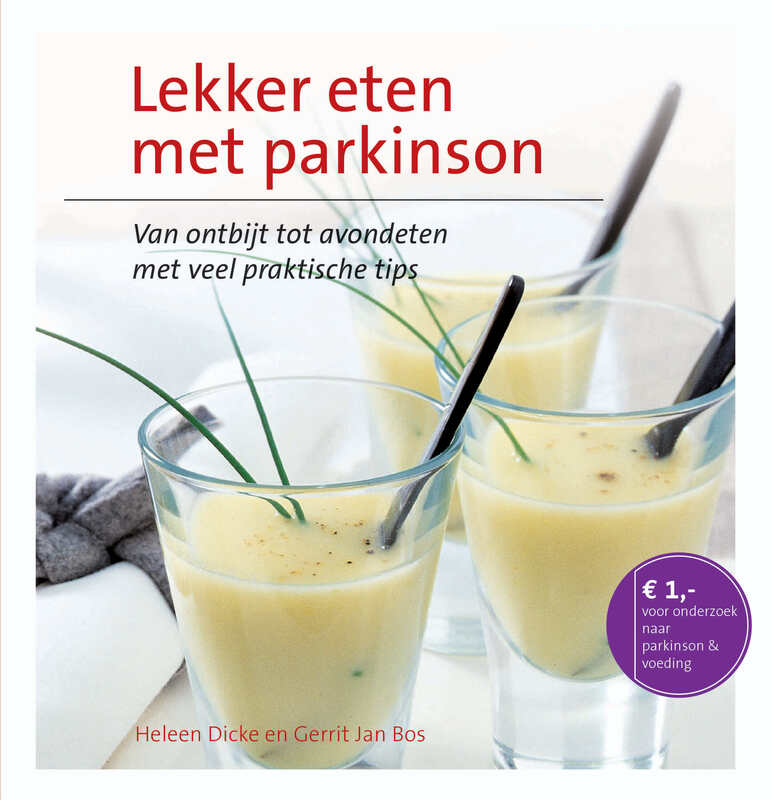 This recipe was published in the Dutch-language Parkinson’s lifestyle book ‘Lekker eten met Parkinson’, published in October 2016. 1. Put the flour in a mixing bowl. Add the fresh, crumbled yeast or dried yeast and mix through the flour. 2. Mix in 1 tsp of oregano. Make a well in the centre and pour in the olive oil and water. Mix until a soft dough forms. Add the salt. Leave to rest for 15 minutes. 3. Knead the dough for 5–10 minutes until supple and elastic. 4. Form a ball, place it in the mixing bowl, cover with cling film and allow to rise in a warm spot for 1 hour, or until the volume has doubled. 5. Fry the garlic in olive oil at low heat until glazed. Turn the heat up and add the spinach. Allow to cook and turn over from time to time. 6. Use a strainer to remove all the water from the spinach. 7. Apply olive oil to the work surface. 8. Roll the dough into a 50 x 30cm rectangle with a thickness of 0.75cm. 9. 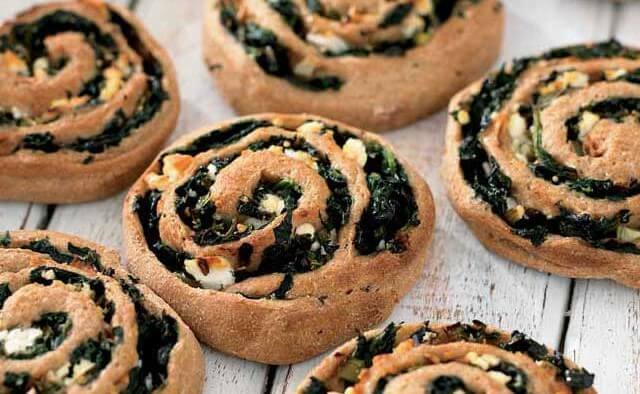 Divide the spinach and feta over the dough. 10. Make a loose roll, starting at a short side. 11. Cut the roll of dough into 12 slices and place the slices on a baking tray covered with baking paper. 12. Cover with a floured towel and allow to rise for 1 hour. 13. Pre-heat the oven at 200°C and bake the bread in 20–25 minutes until golden brown. 14. Allow the bread to cool on a grid outside the oven. Why not make a tasty sauce by seasoning crème fraiche with chopped basil and thick balsamic vinegar. This dish also works well if you replace the spinach with braised chard. Divide the chard into leaves and stalks, then cut into small pieces and blanch.